Our Producer Masterclass is being run in partnership with BBC Radio UIster on 20th September 2018. 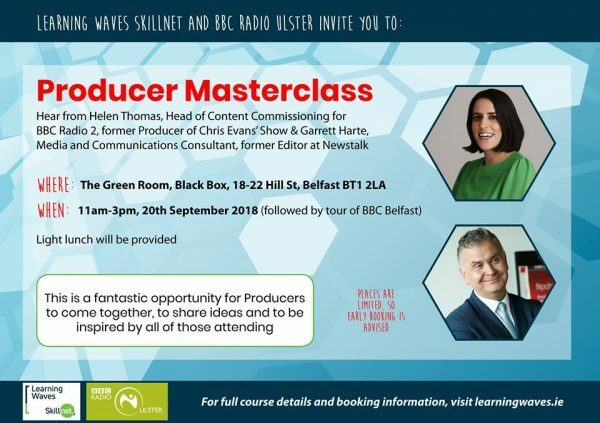 This unique event will provide participants with the opportunity to hear from Helen Thomas, Radio 2 and Garrett Harte, Media and Communications Consultant and also to share ideas and experiences with each other. The event will be followed by a tour of BBC Radio Ulster.